2,130,800 km2 (822,706 sq ml). 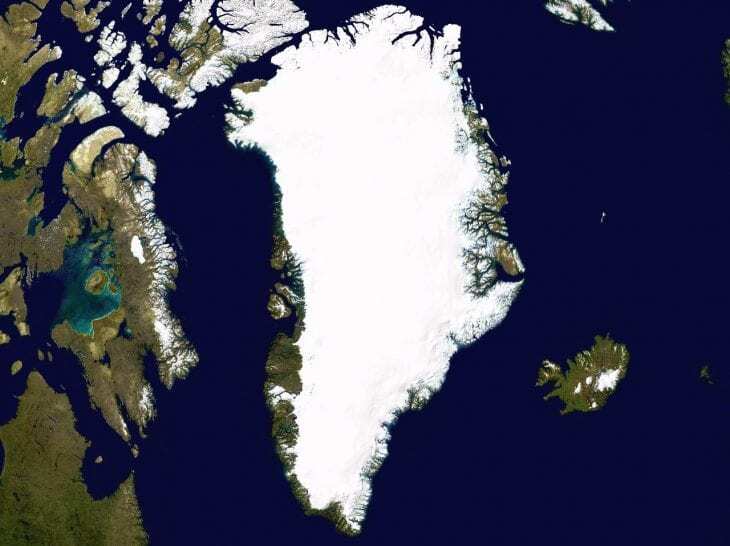 Greenland possesses the world’s second largest ice sheet, and has a population of around 56,000 people. 785,753 km2 (303,381 sq ml) and a population of 7.5 million. With some 786,000 km of tropical land — less than one-half of one percent (0.5%) of the Earth’s surface — New Guinea has immense biodiversity, containing between 5% and 10% of the total species on the planet. 748,168 km2 (288,869 sq ml). The island of Borneo is the largest island in Asia and is divided among 3 countries: Brunei & Indonesia & Malaysia. 587,713 km2 (226,917 sq ml) Located off the eastern coast of southern Africa, east of Mozambique. 507,451 km2 (195,928 sq ml). The largest island in Canada with a population of only 11,000. 473,481km2 (184,954 sq ml). It is the largest island that is entirely in Indonesia and has a population of almost 50 million. Its biggest city is Medan with over 4 million in the greater urban area. 225,800km2 (87,182 sq ml) is the largest and most populous island of Japan and the second most populous after Indonesia’s Java island. 217,291km2 (83,897 sq ml) is Canada’s second largest island and slightly larger than the island of Great Britain. 209,331km2 (80,823 sq ml) is the largest European island and the largest of the British Isles. With a population of about 62 million people, it is the third most populous island in the world. 196,236km2 (75,767 sq ml) is the tenth largest island in the world and Canada’s third largest island. Think that’s more considered a continent than an island.